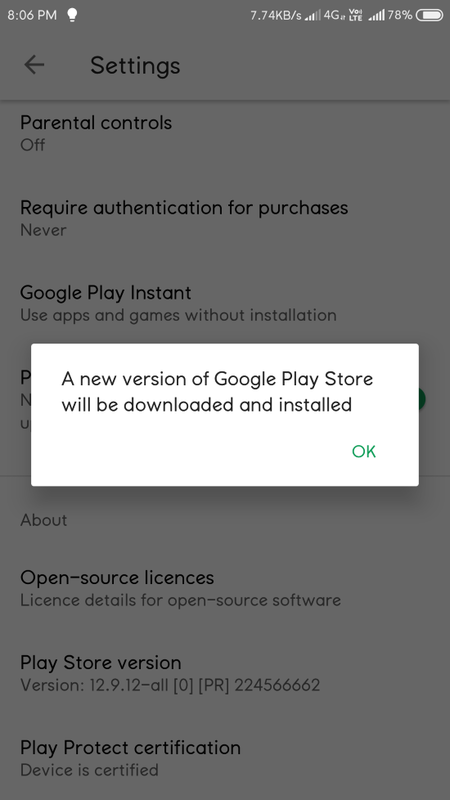 For some reason, you want to manually update the Google play store, here is an easy way. Open hamburger menu and go to Settings. Scroll to bottom and tap on Play store version. You will see a notification 'A new version of Google Play Store will be downloaded and installed. That's it. Your device will be updated to the latest version of Google play store. There are many other Google Android app and components that are not listed in the Google play store or sometimes some apps are limited to Google Pixel devices. So you can use these links to browse such apps on the Google Play Store.